Are dental x-rays bad, dangerous when pregnant and for kids? There will come a point in time in your life, when you will need dental x-rays. Under normal circumstances you may just go right ahead and have these x-rays done; however, if you are pregnant, breastfeeding, or if your kids are the ones that need the dental x-rays, there will be room for concern. So, are dental x-rays harmful or safe for kids, women during pregnancy, while breastfeeding? This article will serve to answer this question for you, in order to help put your mind at ease. If a pediatric dentist has told you that your child needs to have dental x-rays done, the first thing that will most likely come to your mind is whether or not the radiation from the x-rays are safe for your child. Dental x-rays are actually not harmful to kids’ health, as the radiation given off by these x-rays is very low. Dental x-rays for kids can help diagnose any abnormalities, pathology and decay; as such, the benefits of receiving these x-rays far outbalance any conceivable risks of your child being exposed to radiation. However, even though dental x-rays are deemed safe enough for kids, every precaution should still be taken to limit exposure to radiation. It is also considered safe to get dental x-rays while pregnant. How safe you will be is dependent upon the nature of the x-ray, and the radiation levels you will be subjected to. Most dental x-rays will not expose your fetus to life-threatening radiation levels; however, you should still bear in mind that the more radiation you are exposed to, the more likely you and your fetus will be at risk. Even though it is safe for women to get dental x-rays during pregnancy, experts do recommend that unnecessary x-rays be delayed until after giving birth. You may have heard others say that it is unsafe for mothers to get dental x-rays while breastfeeding; however, this is just a myth. These x-rays have no effect on breast milk; as such, you do not have to wait until after you are through breastfeeding to get dental x-rays. Therefore, if your dentist has recommended that you have these x-rays done – go right ahead. 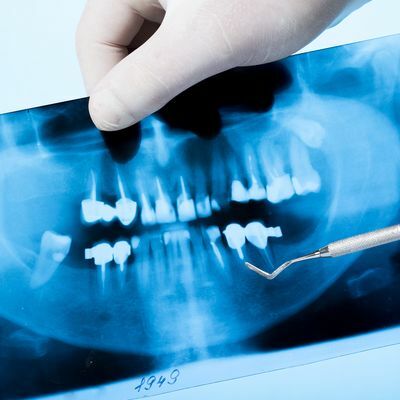 There is no need for you to worry as dental x-rays are not only considered to be safe, but they are also very beneficial.